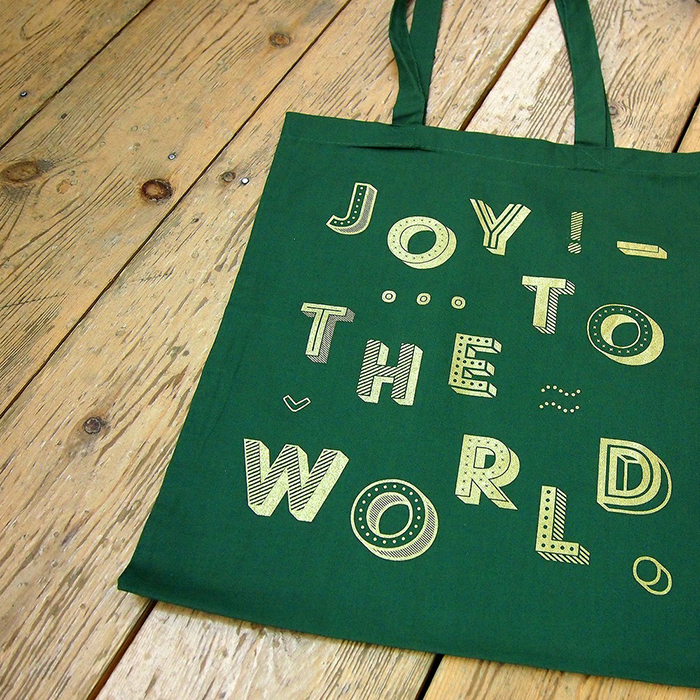 My buddy Luke (who I interviewed a few weeks ago) designs a beautiful festive tote bag every year. I have been lucky enough to receive one the last few years and they just keep getting better and better. 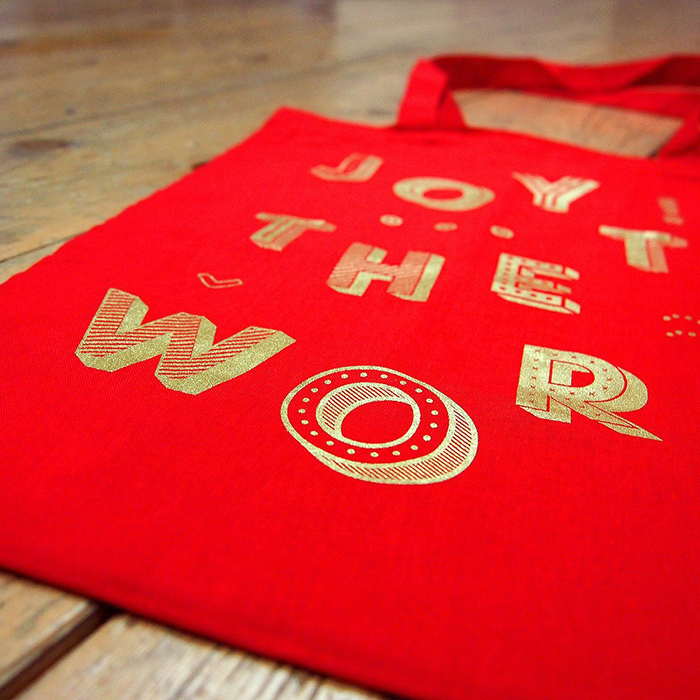 This year he has created a beautiful typographic design which has been printed onto festive red and green tote bags using gold metallic ink. For the first time ever Luke has made the tote bags available for sale so all you lucky people can get one for yourself. Seriously these would make such an awesome christmas gift, but also how fun would it be to get one of these and use it as a christmas stocking! I think I might do that with mine! Pick up one of these tote bags from here. Luke has very generously giving you lovely readers a 10% discount if you use the promo code 'JOY' - seriously...what are you waiting for?